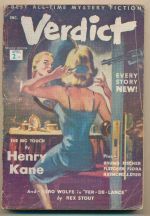 Contains 'The big touch' by Henry Kane, and 'Fer-de-lance - part 5' by Rex Stout. 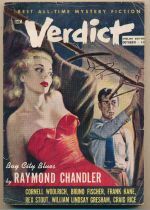 Contains 'Bay City blues' by Raymond Chandler, and 'Fer-de-lance - part 3' by Rex Stout. 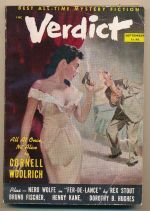 Contains 'All at once, no Alice' by Cornell Woolrich and 'Fer-de-lance - part 2' by Rex Stout.